A digital caliper can be used to measure an outside distance, an inside distance or a depth. It is worth getting a digital one because it is quicker and there is less chance of making a mistake when reading it. It is also possible to convert a metric reading to an imperial one or vice versa at the touch of a button. It can measure to an accuracy of about 0.01mm at best. Most calipers have a small roller for adjusting the caliper. These can invariable be regarded as good as useless. It is quite easy to make a screw fitting that allows the caliper to be set accurately. It is important that the surfaces of the jaws are flat on the object being measured. Even if this is done it is often difficult to remove the caliper without changing the reading. 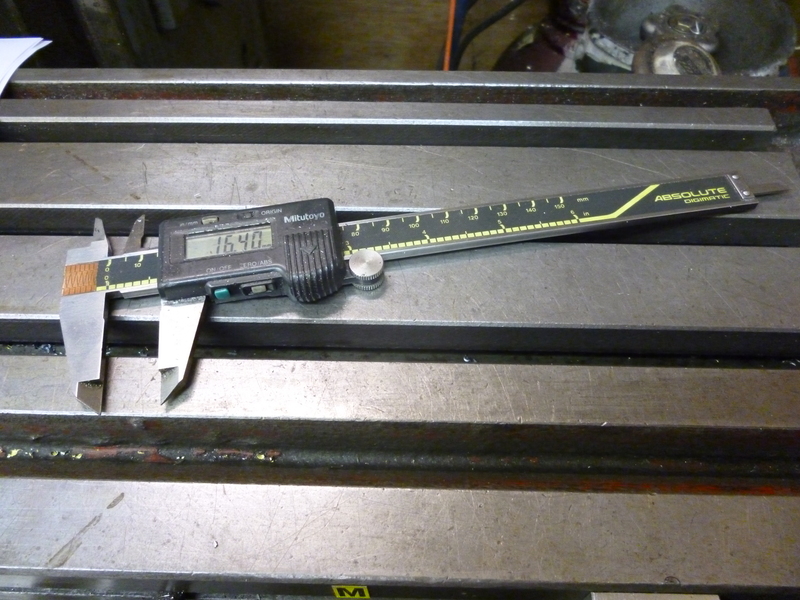 If possible, it is best to read the dimension whilst the caliper is still measuring it. The height of a surface can be measured using a caliper in the depth mode. It is difficult to do this very accurately because of errors caused by the caliper not being properly vertical. It is also possible to use a caliper to measure inside lengths.